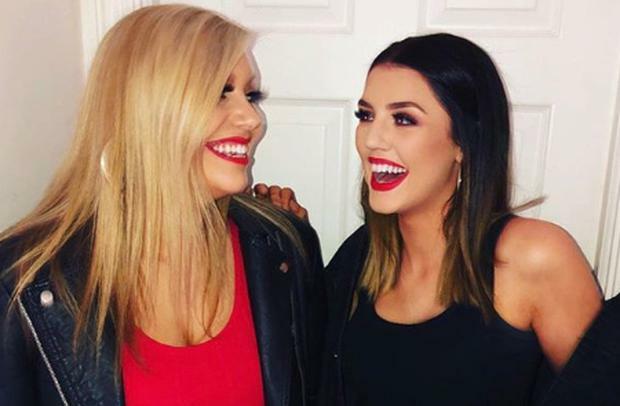 Yvonne Connolly says that while she was disappointed for daughter Missy Keating when she failed to impress the judges on The Voice UK, she would be happier if she was older taking part in a reality TV show. Mum-of-three Yvonne said acting was her daughter's first love so she had dealt well with The Voice not working out. She reckons the acting course Missy has been accepted on to will open more doors further down the line for the ambitious 18-year-old. "I was disappointed for her but, in saying that, in the overall picture she is very young for something like that, if she had gone on and got fame like that, and reality TV. "So I wasn't too upset and I think there will be more opportunities down the road maybe when she is a bit older - and she is in the middle of her Leaving," Yvonne told the Herald. "I would like her to do whatever makes her happy but there are certain things like education, the Leaving Cert, that have to come first, and I would like her to do that," she added. "Of course, say if some big movie came along and she couldn't finish her Leaving and had to do it again next year then that is fine, but I don't think I'd like to see her not complete her Leaving for reality TV - but that is not to say I am not happy for her to do it in time." Yvonne said Missy watched back her audition and now counts it as a great experience in her fledgling career. "She learned so much from it and she now has an acting course she has been accepted on to after her Leaving Cert.Singing was fun but she hadn't pinned all her dreams on it and although she gave it her all, acting is really her thing," she said. Meanwhile, Yvonne's youngest daughter is making her own way in the sporting world as a keen horse rider and a potential soccer star. Ali (13) will be taking part in the Aviva Soccer Sisters Easter Football Festival, a free soccer camp for girls aged between six and 14, from April 15 to 26. Yvonne said the soccersisters.ie initiative was a great way to give children time away from social media and was a chance for girls to hone athletic abilities as well as making new pals. Already big into horse riding, Yvonne said she wanted Ali to try out team sports. "If you don't get them involved in something, they can end up just on their phones or looking at TV," she added.